Lance Milnes a sacar uns tubos na longínqua e fantástica Austrália. Em breve, vamos poder vê-lo ao vivo e a cores em Portugal no Ocean Spirit Festival ;) Podem recordar a grande entrevista que Lance nos deu clicando na imagem de baixo. Estiveram por Peniche em Abril quase duas semanas e... adoraram. Leif Davidsson, NEWS TEAM kayaksurf.net, com a equipa da aterra.se directinhos da Suécia. Enjoy it! 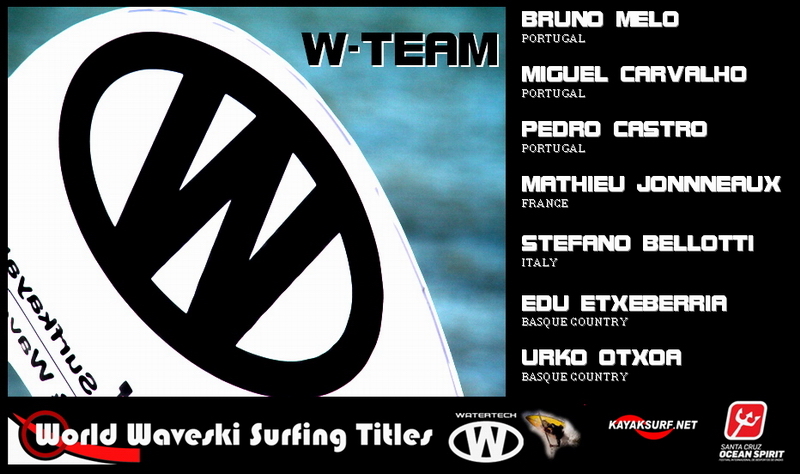 This weekend, QUIKLSILVER TECHNICAL Division Store will be present in the Marina Event in Figueira da Foz, Portugal. This concept store was the first one in the world and José Morais, besides being a surfkayaker, is also the manager of this great brand. Third report from Steve Farthing! 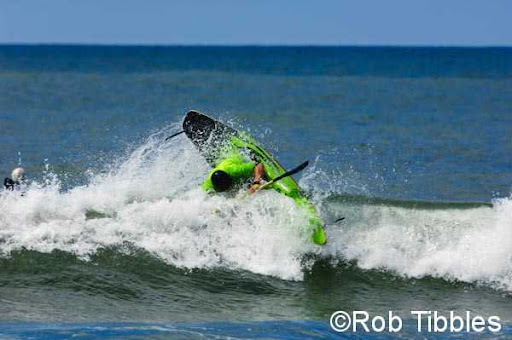 He's already in Portugal, went till Peniche, train a bit in Santa Cruz ans wrote for us hos view about the Freanch Team. Very good! Its day 3 and I’m still getting up early………JET LAG! Went down to Praia do Navio around 7:30am and no one was there, everyone sleeps in here also the mist had rolled in making it pretty hard to see the line up. Decided to venture up to Peniche, stopping at Lourinha for more coffee and tarts, might have to watch this Portugese habit. 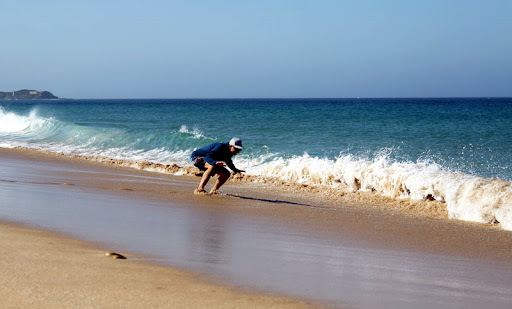 Super Tubos was glassy but flat, Baleal had waves but the wind was on it, so back to the comp site. 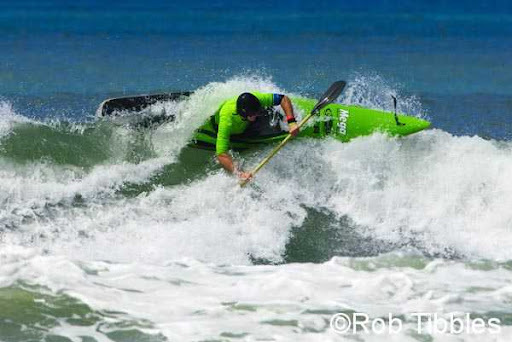 Praia do Navio was around 4ft, clean and peaky with heaps of power, I had lots of fun. With the talent coming to this event I think we’re going to see plenty of airtime. So my thoughts on the French Team. Firstly I think the absence of Mathieu Babarit, Caroline Angibaud and Lionel Angibaud opens up an opportunity for the young French riders attending the event. 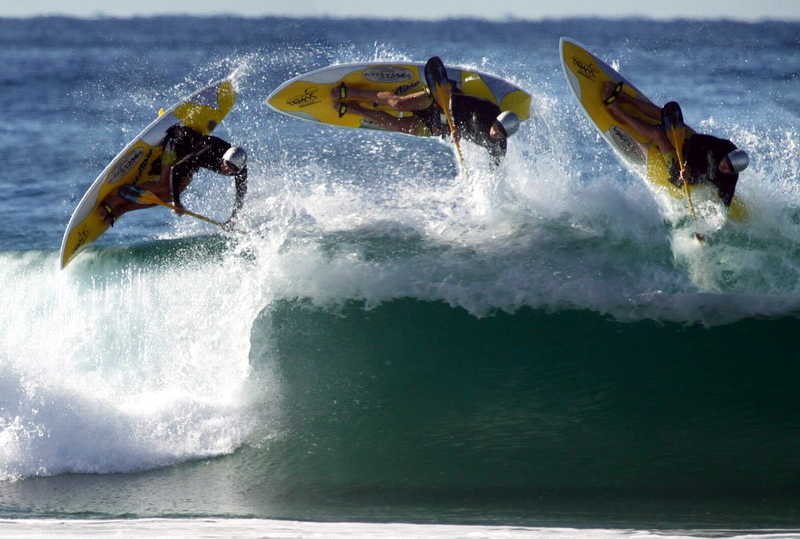 Renan LeLoutre has a history of success, as the current AWWP champion and 6th in the world, closely followed by Virgile Humbert , current world junior champion and French Open Champion. Both have a very good chance of taking out the Open Division. Cyril Samson and Clement Guilbert also have a very strong aerial repertoire and can’t be underestimated. I’m not familiar with many of the other young riders, but I wouldn’t discount any of them bursting through the pack and making a name for themselves. On the Women’s side, in the absence of Caroline Angibaund, Coralie Jousset is one of the favourites to take out the title particularly after her earlier trip to Portugal with P10. Anyway its time to try one of the local cerveja, maybe a "Sagres". 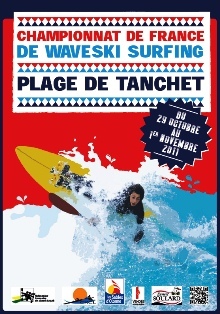 A Watertech apresenta-se no Mundial de Waveski deste ano com sete atletas. Todos equipam com a última geração de waveskis W-GURU. Boa sorte!! I’ve made it to Santa Cruz but not without some pain………in my hip pocket that is. Excess baggage arghhhhhhhhhhhh AUD$86 per kg, think I my have set a record here, at least they only put 2 holes in my ski this time. Anyway I’m still happy, Portugal seems to have that effect on me. Have checked out the event site, still a bit of building to do but I did see a big hole in the sand where the pool goes, remember if you win a trophy your going in there! Its now day 2 and I ventured down to Ericeira home to Tiago Pires. Scored a few waves at Praia de Sao Lourenco, which has some protection from the north westerly that is gusting around 20kts at the moment. Found a groovy little café and had one of the best coffees I’ve ever had with a world famous Portuguese tart, yummy. Tonight I ‘ll check out the action at down town Santa Cruz and put my thoughts together on this incredible French team. Until tomorrow or the next day Ocean Spirit on my mind. 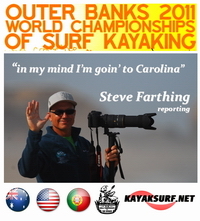 John Watson, NEWS TEAM kayaksurf.net, informa-nos do adiamento do British Open 2011. O swell não ajudou e a segunda data entra em acção. Mais em baixo, o texto integral com toda a informação. "I am sorry to say that with the surf forecast we have, we are postponing the British Open to its reserve date of 20/21 August. All signs are that it will be very small or perhaps even uncontestable on Saturday, and most likely completely flat on Sunday. We do not want people to travel to a British Open which we may quite likely find on the day that we cannot run at all. If you would like your entry to transfer to the advertised reserve date of 20/21 August, there's no need to do anything - you're automatically in. If you are not available for 20/21 August, let me know before 15 August and we will refund your entry fee. No refunds will be available from 16th August, as we shall be drawing the first round. Apologies to everyone for any disruption of your travel and home plans. Let's hope for some swell in a few weeks. 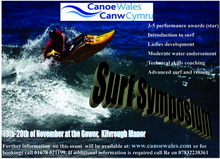 Steve Chivers, Glyn Brackenbury, John Watson"
Entries for the surf kayak event were from Devon, Cornwall and Brittany. 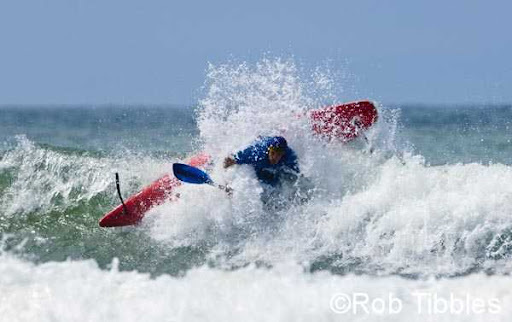 The team from Brittany were strong kayakers with great experience in ocean kayak racing and some waveski. We are very grateful to AS Watersports of Exeter for loaning the team their Valley surf kayaks, and to Mega for the use of a demo boat. Our guests from Brittany say they very rarely see a surf kayak on the waves at home, but they enjoyed themselves so much, that may be changing now. 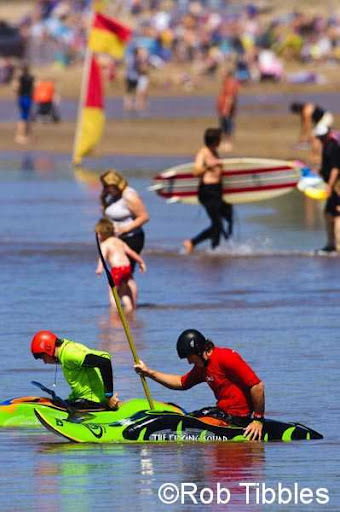 The Surf Kayak event was alongside Surf Lifesaving for a full day at Saunton Sands on the Monday. 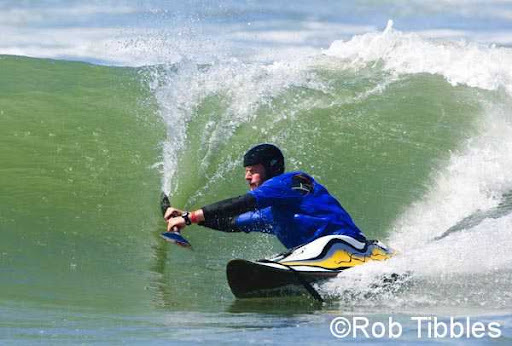 Round one and the repecharges were held in good conditions, and everyone surfed at least two rounds in each class. For semi-finals on Tuesday and finals on Wednesday, we moved to Croyde beach alongside the shortboard, longboard and bodyboard competitions. Croyde Surf Club hosted a great event with judging tower, commentary and music, and the RNLI lifeguards helped keep the contest area clear for some great action in the heats. Special guests Maxi, Reidi and Troy from Sky TV's programme "Bondi Rescue" captained teams for a fun tag-team race for surfers in the middle of the day. 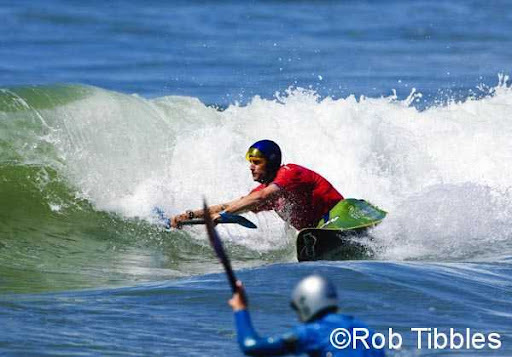 Surf kayak finals were in sunshine and with good waves. 2 Golds for Devon and 2 Golds for Cornwall, with Valentin Henot from Brittany putting in a great performance reaching the U21 short boat final. Thanks to chief judge Glyn Brackenbury, and judges Denzil, Steve Chivers and Andy McCullough for their help in the week. Primeiras fotos dos Atlantic Watersports Games 2011 / Portugal presente! 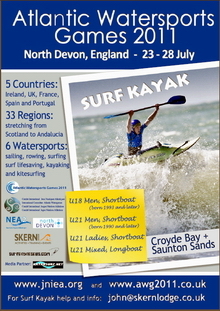 Os XVII Jogos Náuticos Atlânticos vão realizar-se, entre 24 e 28 de Julho, em Bideford (North Devon), Inglaterra. Este evento, organizado pelo Comité Internacional dos Jogos Náuticos Intercélticos, conta nesta sua edição com a co-organização da Direcção Geral dos Assuntos Europeus North Devon + e com o apoio da Comissão do Arco Atlântico. A Região Norte de Portugal vai competir nas modalidades de vela, remo, surf e kitesurf, com o objectivo de lutar pelos lugares cimeiros. Os Jogos Náuticos Atlânticos (JNA) são uma competição anual que, pela sua importância, tem vindo a afirmar-se naturalmente no panorama internacional da náutica. 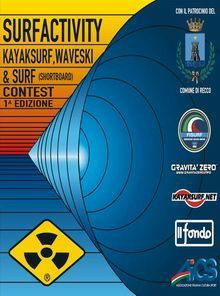 Durante uma semana, este evento coloca em competição as melhores selecções náuticas das várias regiões que compõem o Arco Atlântico, nas modalidades de kayaksurf , kitesurf, remo, surf, surf life saving e vela. Ficam as primeiras imagens do evento - link mais em baixo. The competitors have expressed their satisfaction with the quality of the competitions and with the great welcome shown by the British hosts. É mais um vídeo com a assinatura de Lenny directinho de Okinawa, Japão. Len Kelleher é irlandês de gema mas trabalha há dois anos no Japão. Claro que o kayaksurf não ficou de parte! 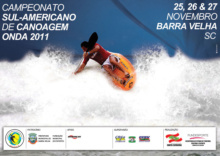 Lenny, relembre-se, foi campeão mundial de kayaksurf IC em 2007. Mais vídeo de kayaksurf AQUI! One more video directly from Okinawa, Japan. Len Kelleher is Irish but works in Japan for two years. From time to time, he sends us some videos to report his surf sessions in the Pacific. 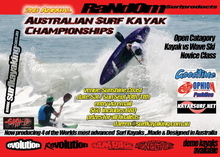 Lenny was world kayaksurf IC champ in 2007 ;) More kayaksurf videos HERE! 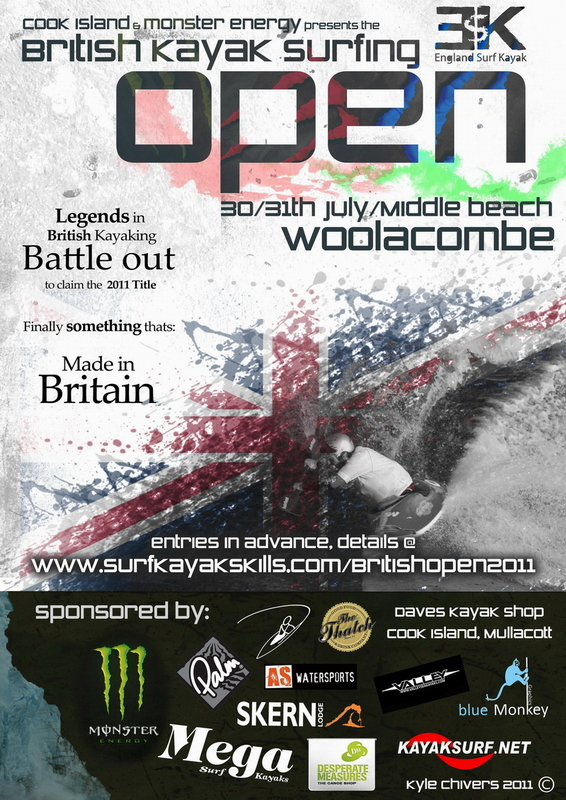 Vai decorrer em Woolamcombe (Inglaterra) mais um Open de Kayaksurf. Na organização, John Watson, NEWS TEM kayaksurf.net, e Steve Chivers. Mais em baixo, toda a informação sobre o evento que decorrerá este fim de semana! 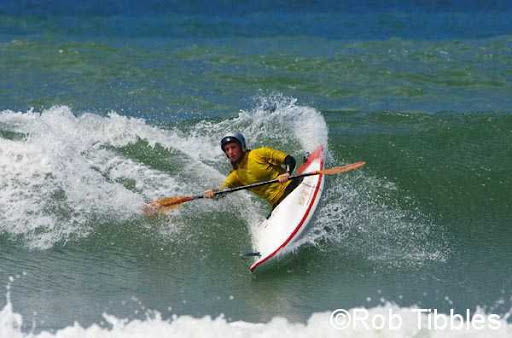 The British Open Surf Kayak Championships 2011 will be held on Middle Beach, Woolacombe, North Devon on 30/31 July. The reserve date is 20/21 August. John Watson., NEWS TEAM kayaksurf.net, and Steve Chivers, organize. Check out all the infos below. The event will be next weekend! 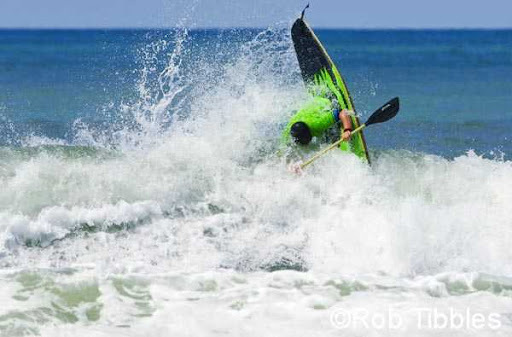 Ele anda a treinar para o Mundial de Waveski mas, mesmo assim, ainda tem tempo para se divertir (também) com o seu surfkayak. Grande foto com Stefano Bellotti, em Varazze / Liguria, Itália. A foto é de Paolo De Lorenzi e já faz parte da nossa GALERIA! 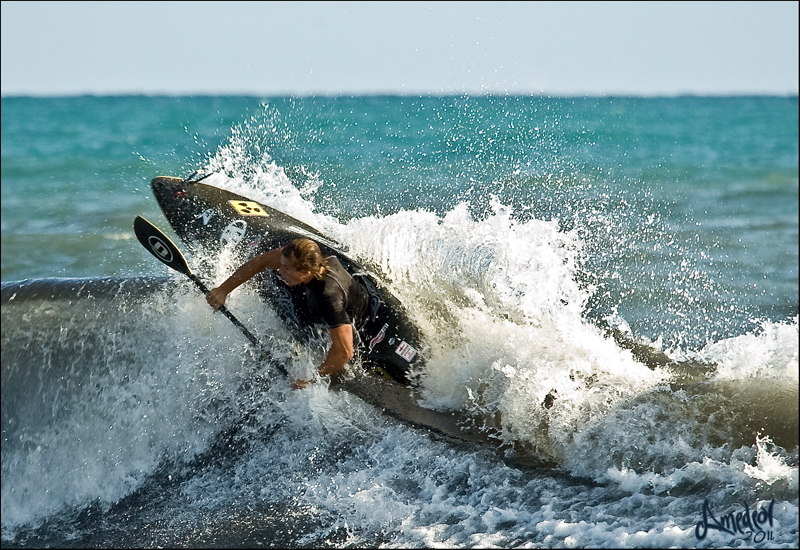 He's training for the waveski worlds nevertheless, Stefano Bellotti - NEWS TEAM kayaksurf.net - still have a little time to have some (more) fun with his surfkayak. Great photo in Varazze / Liguria - Italy, last week. Photo by Paolo De Lorenzi that is already in our best off GALLERY. 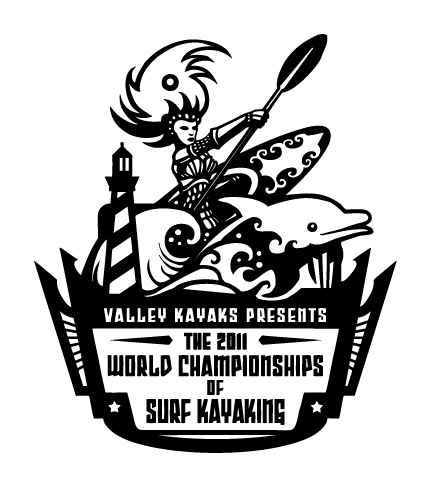 Começaram as INSCRIÇÕES para o Mundial de Kayaksurf 2011 nos EUA! Começaram as inscrições individuais para o Mundial de Kayaksurf que vai realizar-se nos EUA, Coste Este, de 28 de Setembro e 8 de Outubro. Todas as infos em baixo e, para visitar o site oficial do Mundial, basta clicar nas imagens! Early registration will take place until August 22nd. Entry fees will be adjusted for late registration beginning on x date. Entry fee refunds are not available after September 5th, and registration will fully close on September 5th. 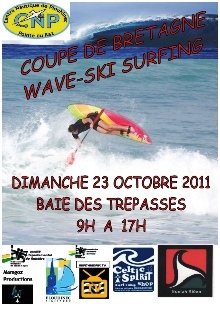 Competitors may enter up to two individual classes. 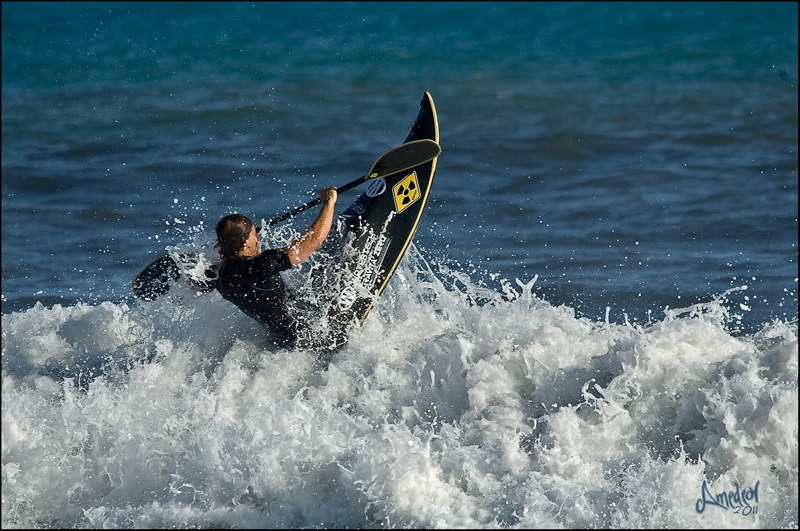 All classes and age divisions will adhere to the eligibility rules defined by the World Surf Kayak Association. www.wska.org. 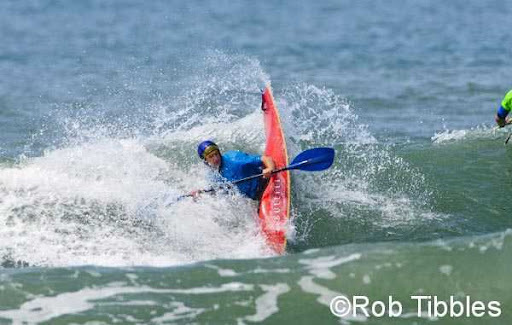 General qualifications to enter the individual classes are as follows: Each competitor must be a registered member of their country’s governing surf kayak association, however competitors are NOT required to be on their national team’s roster to compete in the individual competition. Classes are: Men Long, Men Short, Women Long, Women Short, Junior Long, Junior Short, Master Long, Master Short, Grand Master Long, Grand Master Short. Men Long may be limited to 60 entries, and Men Short may be limited to 80 entries. If those classes fill up, names will be added to a waiting list. The fee for the first class entry is $110 (approx. 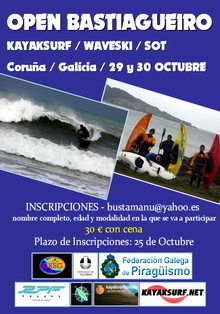 77 Euros) (includes WSKA member fee), and fee for the second-class entry will be $100 (approx. 70 Euros). We will be using Active.com for registration, and as with any payment service, they also charge a transaction fee, however the ESKA is covering half of this transaction fee. Entrants will see the remaining half of the transaction fee upon finalizing your entry. Entrants into each individual class will be ranked and seeded into heats for the event. This ranking will be determined based on performance at the two most recent World Championship events, and the most recent World Cup final results. Low ranked competitors may be entered into preliminary rounds for classes that have a large number of entrants. Preliminary rounds will take place during the regular event schedule. We are also happy to announce that through the event hosts at REAL Watersports, optional lunch service for the first seven days of competition is being offered at a low price. Lunch will be a variety of foods prepared by Mojo’s Sunset Cafe and will be delivered to the event sites each day. Cost for this lunch service is $70 per competitor. To sign up for this service, select the lunch option on the individual entry form at Active.com. 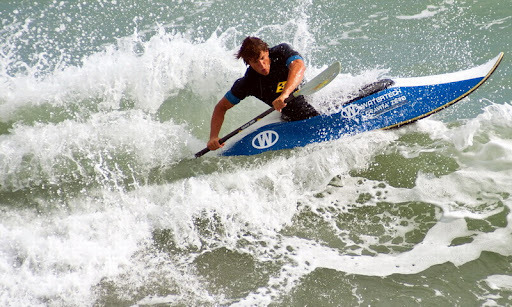 Vegetarian competitors can contact the Eastern Surf Kayaking Association to indicate their preference. All competitors will be required to sign liability waivers upon check-in at the event. Minors will need the signature of a parent or guardian. If English is not your primary language, and you have problems or questions with any of the information on the Active.com entry forms, please contact us and we will do whatever we can to help you with the process.